Looking for your Libra Horoscope 2018? Here it is, your horoscope for 2013 -2014, Libra! The first installment of your 2013 - 2014 Libra horoscope is a sweeping overview of Libra yearly love, money, relationships, and career zodiac influences. Our best 2013 astrology overview is a free yearly astrology forecast, Libra. Enjoy your free Libra horoscope 2013 and your Libra love horoscope for 2013 - 2014. Libra yearly career forecast and 2013 Libra money prediction coming soon! Libra 2013 horoscope predictions and Libra yearly astrology readings are published free at Horoscope Astrology Tarot. As you move into 2013 the one thing you're likely to feel is a sense of liberation, with the best thing about the year ahead less about what is here and more about what isn’t here. That missing something is Saturn, the hard taskmaster of the cosmos and for the first time since 2008 you're moving into a year that has no sign of this demanding planet. 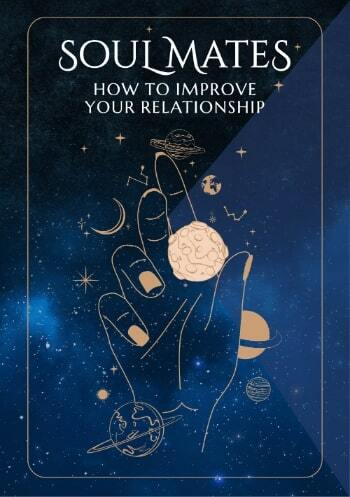 While it’s good to be able to put the challenges of the past behind you, especially when he required so much of you both personally and on the relationship front, creating some real personal and/or relationship tension, he’s left you with the strength and authenticity to claim something real on both fronts. What you have is an exceptional year on the professional and income fronts, something that will continue to improve as the year progresses. For the first time in your lifetime you're moving into the New Year with Neptune, planet of dreams and fantasies in your work sector, for the first time in 17 years with the North Node in your income sector and for the first time since 1985 with Saturn there as well. 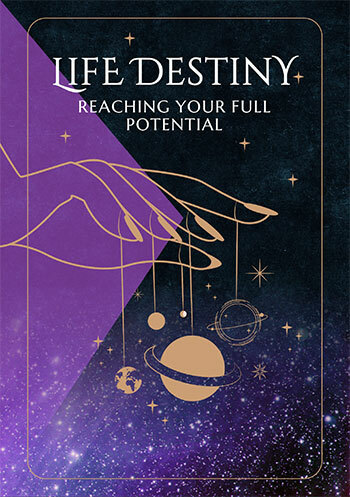 With Jupiter, planet of luck not only returning to your career sector on the 26th June, kicking off your luckiest professional year in over a decade, but linking in with work and income forces, this is destined to be a huge year for you. Yet in the first half of the year Jupiter is in your sector of travel, adventure, learning and discovery, where he’s urging you to learn, explore and embrace life. This is something that may be on hold in the early weeks of the year, but the handbrake will be released when Jupiter turns direct on the 31st January, with the real potential not being realised until May and June. However, life won’t be all work and no play or as serious as things have been in the past, not if the Moon and Mars have their way. It’s unusual for the Moon, who only spends a few days in each sign and visits every area of your chart each month, to have an impact on the year as a whole, but this year it will. For the first time since 1994 you'll move into the New Year with the Moon in a social and serendipitous part of your chart, with whatever this triggers cemented by a Full Moon on the 27th January. More than the social and serendipitous start to the year this gives you or the laws of synchronicity this triggers is the fact that the Moon will put pressure on Mars, just as the planet of passion is moving into the New Year already in a romantic and creative part of your chart, for the first time in 13 years. This will throw fuel on the romantic and creative passions Mars moves you into the year with and this is a torch that once lit won’t burn out. How you begin a year has a big impact on what you expect from the coming year and therefore on what your reality will be. Libra horoscope compatibility between the Libra zodiac sign and other zodiac signs 2013. Check back throughout the coming year ahead 2013, Libra for the next installments of your free 2013 love horoscopes. Libra business and work will be explored in your 2013 Libra career horoscope predictions and 2013 Libra money horoscope forecasts!